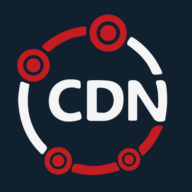 Why should CDN matter to you? So why is it so important? First of all, because of speed. In today's fast paced world, it's important for a website to be able to load at a competitive speed. The faster that a site can perform, the more likely it is that users will continue to use it. For example, let's say that I create an online book store. Because I'm just starting out, I decide to go with the cheapest option and run my site off a local server. This starts to become a problem quickly for users who are far away from my geological location, or when traffic on my site starts to pick up. Even if my prices are superior, or my site is extra easy to use, if my load times are bad, many users are going to go to a faster site because it's more convenient. if instead I use a CDN to run my site, it will run faster no matter where a user is located and my site will be better prepared to handle the traffic that will come as the sites popularity increases. Search engines such as Google have what is called SEO (search engine optimization). Part of that is that each site has an SEO ranking, based partially on how quickly the site loads. What that means for our clients is that by using CDN, their sites will come up higher in Google searches and on other search engines. Since much of your website's content is being loaded from our multiple servers, it will cut down on their bandwidth usage and increase their server efficiency overall. Having a faster site will increase the number of users accessing your site, which in turn will mean more traffic and more sales.